Are you looking for a rewarding career with advancement opportunities? Do you have a passion for customer service? Are you a dependable professional with excellent communication skills? Would you like to be a part of a rapidly growing organization with employee ownership? If you are a confident team player with the drive to succeed, we need talented people like you on our team! Van Horn Automotive Group, an Employee Owned Company, has an outstanding opportunity for a professional, self-motivated Customer Service Representative at our Business Development Center in Sheboygan. If you are looking for a new career at a family-oriented company Van Horn Automotive may be the place for you. The Van Horn Automotive Group has been amazing customer since 1966, and now operates Dealerships in 13 locations throughout Wisconsin and Iowa with over 500 employees. 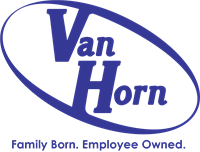 Van Horn offers a full benefits package including health, dental, vision, Employee Stock Ownership Program (ESOP), 401(k), paid vacation and holidays, gym membership reimbursement, tuition reimbursement, and employee discounts. This is a full time position that does include evening and Saturday hours. Work hours vary from 8am-8pm Monday through Sunday. It is required to work 2 or 3 late shifts and every other Saturday. The Employee Stock Ownership Plan (ESOP) is a unique benefit that invests in our associates and their future. As a 30% owner, our employees receive contributions to a qualified retirement plan that is 100% funded by the company. As an upstanding member of the business community, we are active participants in local charities, events and activities. Our family values carry over into all we do, and we eagerly engage ourselves in opportunities to use our resources to enhance and aid the lives of others. We provide our employees paid time to volunteer in charitable organizations in our communities.